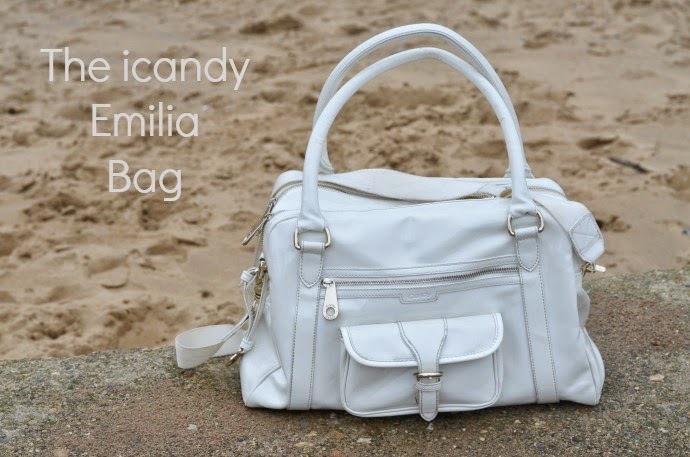 The icandy Emilia changing bag is from their gorgeous new range of changing bags. 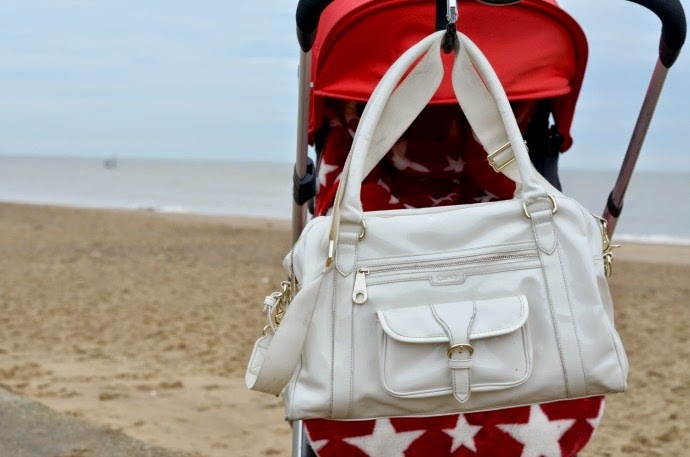 They have been making luxury pushchairs for years, but their first foray into the world of bags is a total success. We were sent the Emilia in white to try and I love it. Firstly, the bag is a great size. I have two children with me most of the time which means I carry around a lot and the Emilia has risen to the challenge. 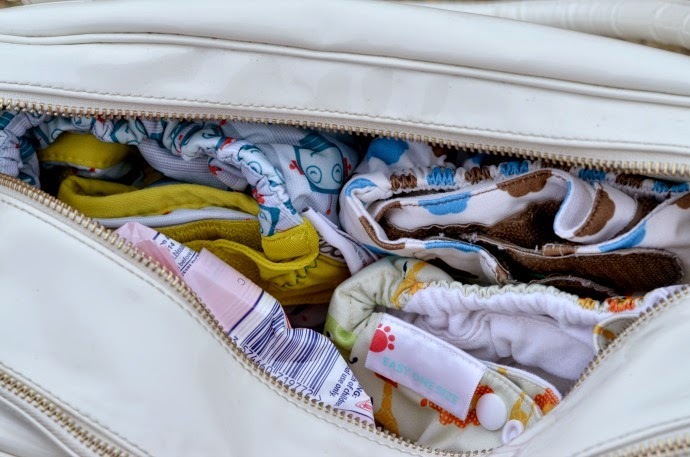 We used it on holiday as it was perfect for hand luggage and held almost a whole pack of disposable nappies in along with spare clothes, entertainment for the boys on the plane and the usual nappy bag things and it is more than comfortable to fit in everything we need day to day. I have used it without the children recently too, as I can fit my hospital notes in the bag and I didn't feel like I was carrying a changing bag. 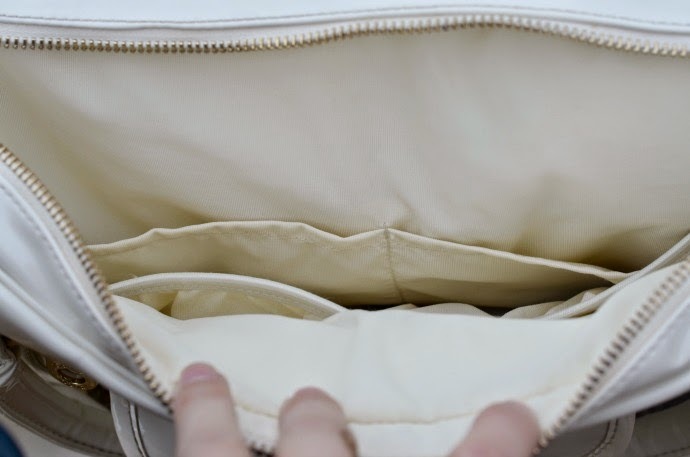 Practically, it has two main sections, and each has four smaller pockets inside. It then has a zip pocket on the front and a seperate poppered pocket that is the perfect size for a phone or similar. Having lots of pockets makes it much easier to keep it organised. It also comes with your matching changing mat. There are two choices for handles, a long cross body strap and two shorter handles for wearing over a shoulder or on your arm. 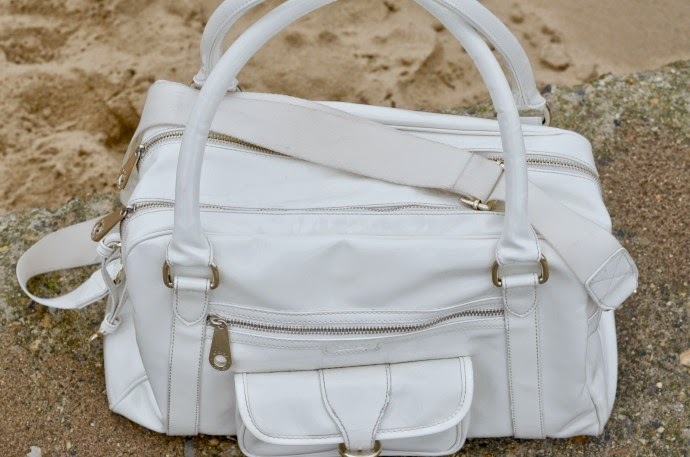 I was worried about how white the bag is and how messy our lifestyle is, but these pictures were taken very recently and the bag has been very well used - it seems to both repel dirt and wipe clean (perfect for us). The only part that does show up any dirt is the cross body strap as it is a different material. 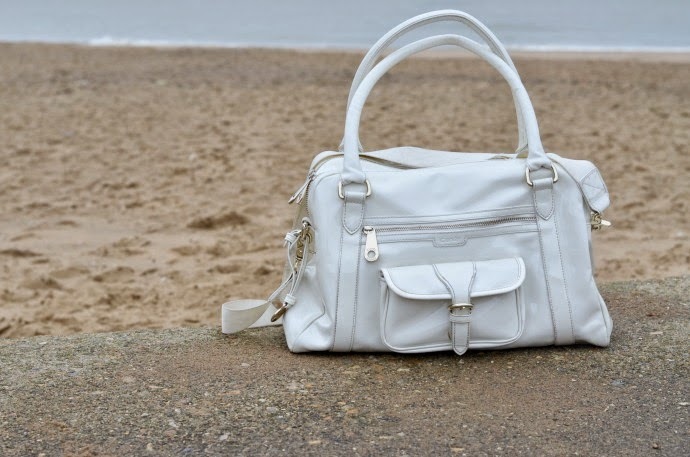 The bag retails at £200 which is the higher bracket for a changing bag, but if you want luxury, space and something that will most certainly last then this bag is beautiful and practical. I am really impressed with the icandy Emilia and I know it will be perfect when I am back to having two in nappies in the near future! Disclaimer: We were sent this bag for the purpose of this review, but all thoughts and opinions are completely my own. Ahh it is a beauty! and one of your photos answered my question on Instagram about fitting enough cloth nappies in! I think I need a bag this size when baby 2 arrives and I need to cart around the bits and bobs for a new born and a toddler! Love that it wipes clean, and doesn't LOOK like a changing bag! Wow if I was having more babies I would be scooping this diaper bag up immediately. Its gorgeous.